1. Forget the world’s definition of success. 2. 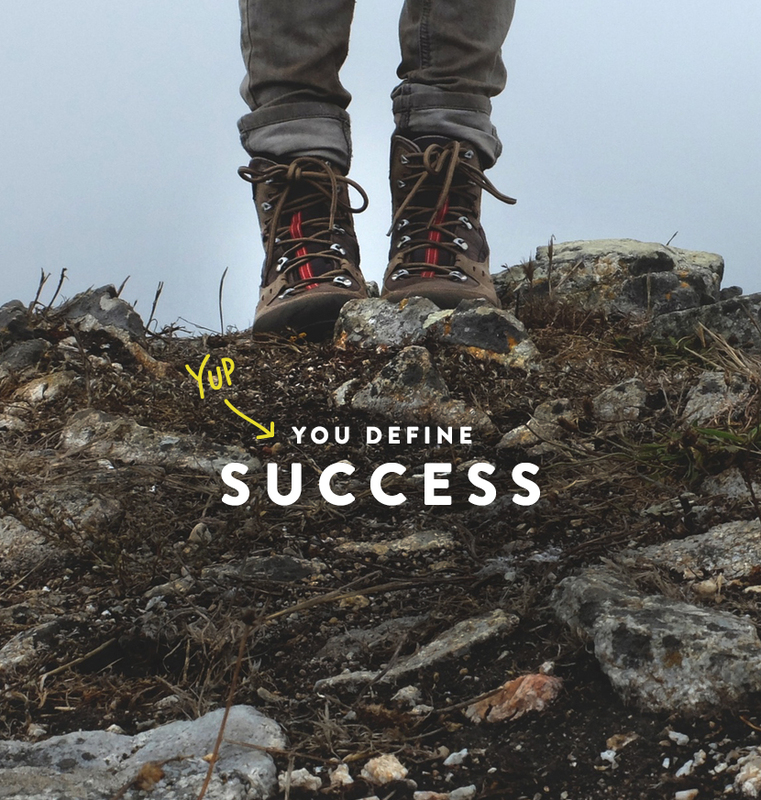 Redefine what success is to you. 3. Then allow others to do the same for themselves. What’s right for you isn’t right for everyone. I am an achiever. No literally, I had a friend talk about the Enneagram test years back and there I landed a strong 3 with a 4 and 9 wing. Have you ever taken this test? I have always been enamored by personality tests mostly because each time I learn what I am or a friend is, I get all giddy like I understand them on this whole new level or something. In many ways you do. It can cut to the heart of who someone is and whether you buy into or not, it atleast starts some great conversation. So, when I discovered I was an achiever it all made sense. Even in a healthy place I am always looking to conquer another thing. It may be baking bread, landing an account, completing my to-do list, or anything in between. This can be good. This can be bad. Most of the time it isn’t about competition with anyone but myself, but there I am desiring to achieve none the less. The more I have engaged with my achiever self the more I understand why I love what I do and have been able to keep this desire healthy and in check. Each day is a challenge. Each day is a new opportunity. Each day presents my choice of how I will define my own success. That is what I love, but it also can come with a limitless ability to succeed which can leave someone like me reaching for benchmarks of achievement over and over again. Now, that last sentence is where I want to focus today. For a long time as an entrepreneur, I was caught up in succeeding, which meant write a book, create a product line, land a design in Comm Arts, have a bagillian followers on every platform, and the list goes on. Once again, never about competing with anyone but myself whether realistic or not. We all know these marks of success, as you could call them. We all have different ones and similar ones, and honestly those were for sure some of mine at various points in my career thus far. What happened is that sometimes those success benchmarks seemed to cloud the many other achievements I would have and never notice or engage with them as successes. I would lose sight of the successes of my personal life and how my skills were becoming refined. Sometimes the most important successes that unfortunately were becoming overlooked. Many times by not hitting these marks I was also finding myself comparing and envious of those who were hitting the success marks I believed to be the things I would find happiness and a feeling of success within. All these feelings, no matter how you toss them, are bad news. After a lot of soul searching and great realities in life, I have realized that some of those marks of success weren’t things that actually brought joy or fulfillment to me when I really got real about them. In some ways I felt guilty about that or as if maybe I was giving up or not being a good steward of my talents, but in fact that isn’t the case at all. I mean, what is a “successful” accomplishment if it actually doesn’t make us feel success? Now think, back to that list of successes I named and any you may have tacked on for yourself. Which of those things actually will make you feel successful? There’s the real question I asked myself. I think when I began looking at my list of successes with the eyes of what really would make me feel as if my life was successful, not by the world’s terms but by my own terms, which can be VERY hard to separate, I began to see a different list emerge. Instead I saw things such as traveling the world, raising kids who desire to live fully and dream, create work that I love and am passionate about no matter the paycheck, gathering around a table with loved ones as often as possible, and the list grows longer and I get excited and even giddy about the list as I define it more and more. Now some of those items from your old list may stay, but now it should be because it really means something to you, not because you believe that the rest of the world will now see you as successful on some level. The funny thing about rethinking success is that when we begin to focus on success in this new way and chase these things, many times we can find the other “successes” emerge. I can promise you there are many people out there that felt more fulfilled and successful not by the things we know them for, but by the things that brought them to why we know them. Isn’t true that we feel most attracted to individuals who are passionate to live and tell a great story that reaches beyond just beauty and successes? I love following and surrounding myself with those that love life, embrace it, and find fulfillment through it on their own terms. So how do you be successful? You redefine success, not because you are failing at the things the world has defined for you, but because sometimes those things that the world has defined for you aren’t really your own marks of success. The beauty of that, is that that is okay, and the sooner we engage with this idea, the happier and more passionate about life we can be. It’s that simple. I would love to hear the ways many of you personally define success and the successes you are redefining for yourself.